Best Sirui Camera Tripod Reviews  - Where To Buy Them For Less? No matter how often you take pictures or where your skill level is, you could benefit from a good tripod. Tripods typically consist of a center pole or column with three legs that surround the column. As you adjust the legs, you can change the height of the tripod to better focus on your subjects. One of the best tripods on the market is the Sirui N-2204X 4 Section Pro Carbon Fiber Tripod with Travel Bag , which also ranks as the best tripod from Sirui. It is lightweight and compact and comes with its own travel bag that you can use for transporting to shoots as well as for storage. This tripod will change the way you shoot. 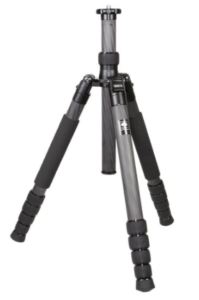 There are a number of great tripods from Sirui available on the market today, but we think that the Sirui N-2204X 4 Section Pro Carbon Fiber Tripod with Travel Bag is the best one that you can get. This tripod uses a carbon fiber design that brings its overall weight down to just 3.3 pounds, which makes it easy to carry and set up. It folds down to a total height of less than 19 inches and comes apart for easier storage too. When you extend the legs, you can increase the height of the tripod to over 52 inches, but the legs also fold down as the center column slides down to help you take photos closer to the ground. When you want to break the tripod down, you’ll find that the legs quickly unscrew from the tripod. Capable of supporting a maximum load of 33 pounds, the tripod can accommodate heavier professional cameras as well as video cameras. You can hang and add other types of weights to the center column to ensure that it stays upright during longer sessions. Thanks to the travel bag that Sirui provides, you can safely keep this tripod stored between shoots. The Sirui T-1205X 5-Section Carbon Fiber Tripod is a great tripod for those who need something lightweight enough for taking on travels because it uses carbon fibers that significantly reduce its overall weight. Twist locks on each of the three legs help you set up a horizontal or a vertical shot without worrying that the legs might shift. The legs also have five sections that slide out to extend the total height of the tripod. Designed for use at different angles, this tripod also lets you adjust the angle to either 52 or 80 degrees to make more interesting shots. Sirui added a shorter column in the center that is much shorter than other tripods have to help you get down lower to the ground too. Whether you want to take photos in the middle of a hot summer day or on a cold and icy night, you’ll find that this tripod can handle even the harshest of climates. One leg has a warmer that keeps the legs warmer to compensate for lower temperatures. The T-1205X also features legs that fold in and fit tightly against the center column, which reduces its overall size and helps it fit inside a standard carrying case. 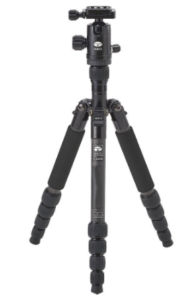 The six-year warranty that comes with this Sirui T-025X 52″ Carbon Fiber Tripod with C-10X Ball Head & Case is one of the longest available today and ensures that you can get a brand new tripod or a repair on your existing tripod in the future. 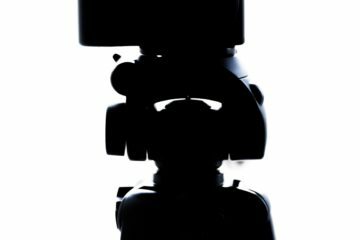 It has a ball head on top that is a type of universal head that works with cameras from top companies as well as video cameras from those same companies. If you need to quickly remove your camera to track a moving target, you’ll find that it easily slides off the head. 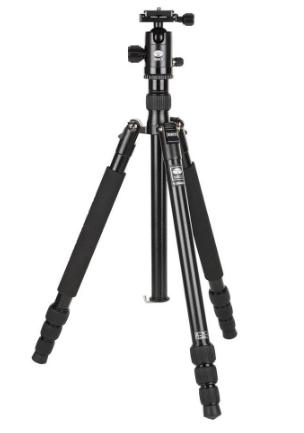 This is a great tripod for those who like taking photos from a seated position or when laying down because it comes with a center column that you can adjust almost all the way down to the ground or another surface. The legs of the tripod will also lay flat enough that each one almost touches the ground too. Each leg has five sections that you can extend to reach a maximum height of 52 inches. An included tool set makes it easy to do any adjustments in the field to make the tripod work for you. Sirui provides you with a carrying case designed for the tripod too. If you need a more affordable tripod from Sirui that still comes with some nice features, the Sirui T2005X TX Series Tripod is a good middle of the road option. 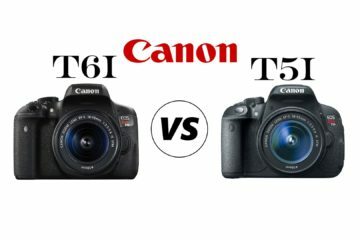 While not loaded with features like other top picks, it works better than some of those tripods further down on our list. It has a maximum height of nearly 61 inches when you fully extend the center column, but it folds down to a height of less than 15 inches for safely storing or transporting. One nice feature on the T2005X is that the legs can hold at an 180-degree angle, which lets you bring it down almost flush with the ground for taking shots of animals running and playing in nature or to get great shots of your kids in their games. The legs have rubber grips that you can use to keep a grip on each leg as you extend the length to increase the height of the tripod. Twist locks on those legs ensure that each one stays at the maximum height you selected until you make any other adjustments. 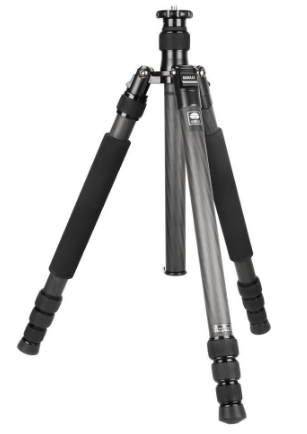 The main reason this Sirui T-005KX 52″ Aluminum Alloy Tripod with C-10X Ball Head & Case ranks so low on our list of the top tripods from Sirui is because it cannot accommodate as much weight as other tripods can. 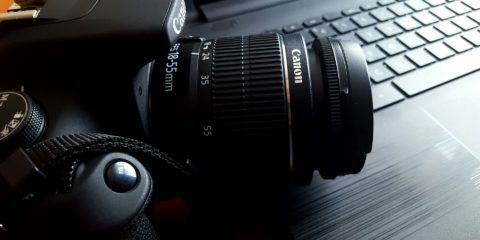 You can only use this one with a camera and/or other accessories that weigh a maximum of 8.8 pounds. Using any additional weight can make the tripod sit off-balance and interfere with your shots. Despite its lower weight capacity, this tripod is perfect for those who hate carrying a lot of weight to take photos of a party or a kid’s game. It weighs only 1.9 pounds and is so lightweight that even your kids can carry it. 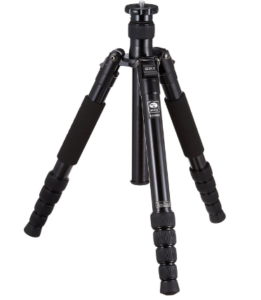 Though it has a maximum height of more than 54 inches, the tripod folds down to a height of less than 12 inches. Rubber grips on the legs make it easy to change the length of the legs and the overall height of the tripod, and you can use the built-in locks to the lock the legs to a specific height. It comes with a center column that you can remove for lower angle shots too. 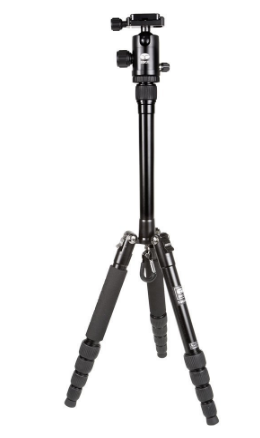 Though this Sirui T-004X Aluminum Tripod with C-10S Ball Head doesn’t extend to a height as tall as others can, it comes with a universal ball head that can accommodate most cameras from the world’s leading manufacturers. This ball head has a quick release plate to that helps you grab your camera and go when trying to capture shots you can’t get from a standing position. You can use the non-slip rubber grips on the legs to change both the height and angle, but you’ll also want to use the built-in locks to set those legs to the height that you want. A shorter column located in the exact center adds some stability and keeps the tripod secure when you’re setting up and taking shots, but you can adjust this column to take macro shots or to shoot objects from a lower angle. The bottom of the tripod has a hook that you can use for adding a small weight for even more stability too. Each leg of the tripod adjusts to three different positions for changing the angle of a shot or compensating for uneven terrain. While on your hunt for the best Sirui tripod for the money, make sure that you look at the Sirui N-2204X 4 Section Pro Carbon Fiber Tripod with Travel Bag before any of the others. 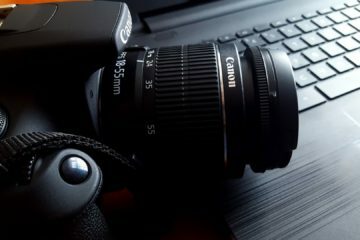 This is our top pick because it can support a maximum weight of 33 pounds, which includes both the weight of your camera and any other weight that you add to the center column. That center column raises up and down to take shots higher in the sky and closer to the ground. Weighing just 3.3 pounds, this tripod is just as easy to carry as any other piece of equipment. You can fold it down into a package of less than 19-inches long for taking on your photo adventures. Though it fits in your bag, you’ll get a carrying case for it too.